Paintball balls are one of the most important parts of playing paintball. While playing paintball, there are a few things that are very important to consider–whether it be a birthday party, some exciting walk-on play, or with friends in a large group, choosing the correct paintball balls themselves for your specific needs is absolutely vital. Considering the quality, size, as well as color when choosing paintballs is much more important than most people would ever think, but in actuality can greatly effect play in many different ways. Fortunately when playing at most monitored and safe paintball facilities, all players are required to use paintballs purchased only at their facility. This is the best way to ensure safety for all players. Purchasing paintballs at a facility ensures that the paintballs themselves were not tampered with or incorrectly stored–decreasing actual injury by increasing ball breaks on impact. Paintball balls incorrectly stored can harden, and result in a very painful experience for the unfortunate person hit with them. 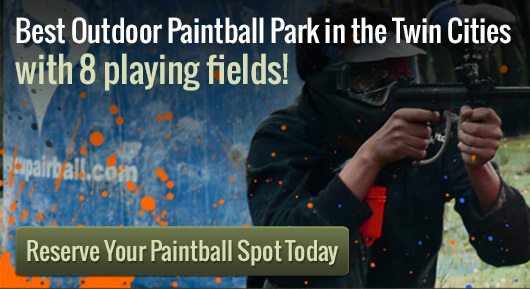 Facility-bought paintballs do not allow for this to happen. Although safety is first, the other differences between balls can still have a very large impact on gameplay. This is especially important for the player who owns their own gear, as certain paintball markers and electronic hoppers are sensitive to ball variables. For example, using black or purple balls can interfere with the “eye”, or built in ball sensors, in some markers and hoppers. This can result in chopped and broken paintballs and a messy day. Another important thing to consider when choosing paintball balls if you own your own equipment is size. Paintballs have caliber sizes that should be matched to the caliber size on the barrel for maximum accuracy. Paintball can be a great experience for anyone, but made infinitely better by choosing the correct paintball ball itself for your needs.